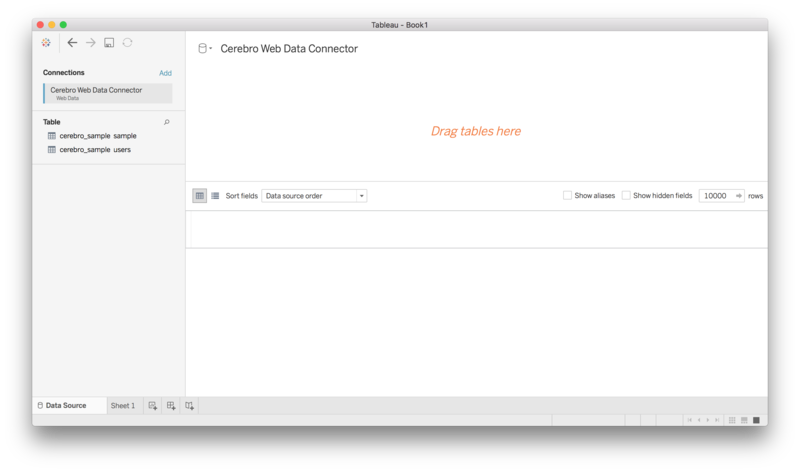 This document describes how to use the Tableau Web Data Connector (WDC) to access data from the Okera Access Platform. 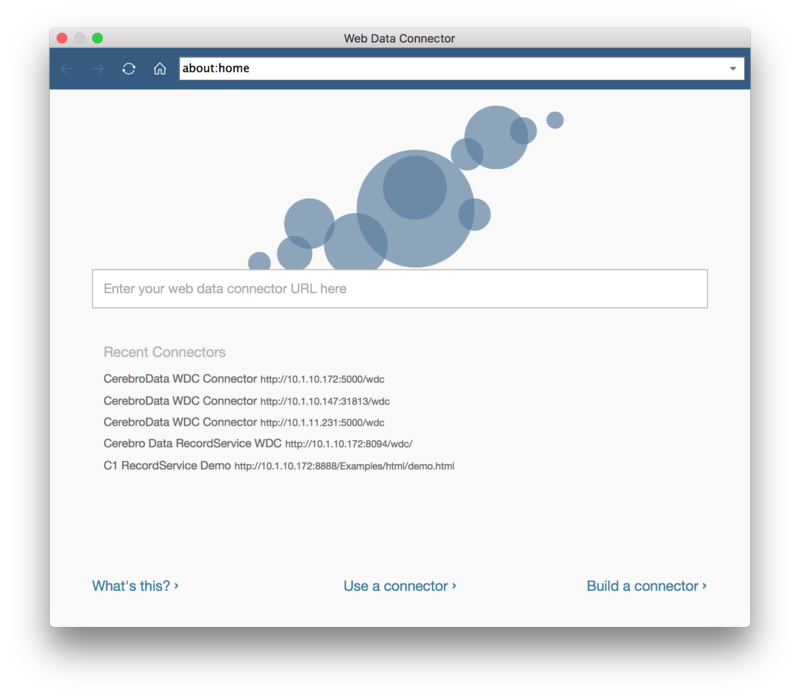 NOTE: the Okera-Tableau Web Data Connector (WDC) is a “beta” product. Depending on usability and requirement changes, the interface may change. 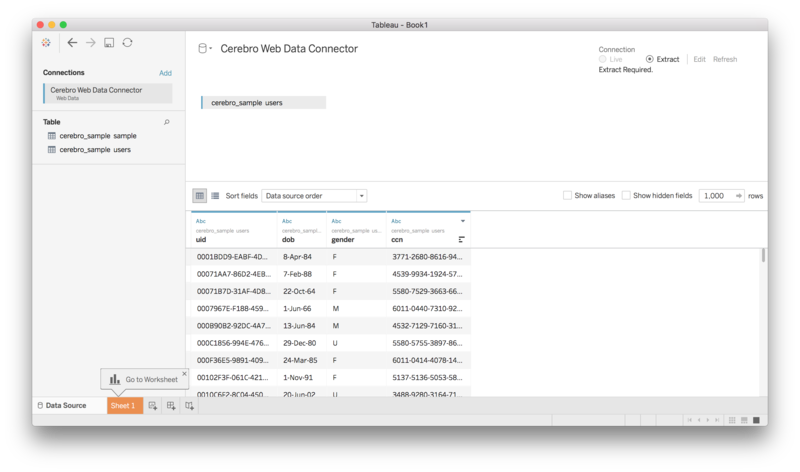 The purpose of the Tableau Web Data Connector (WDC) is to provide access to data from the Okera Access Platform from within the Tableau product suite. 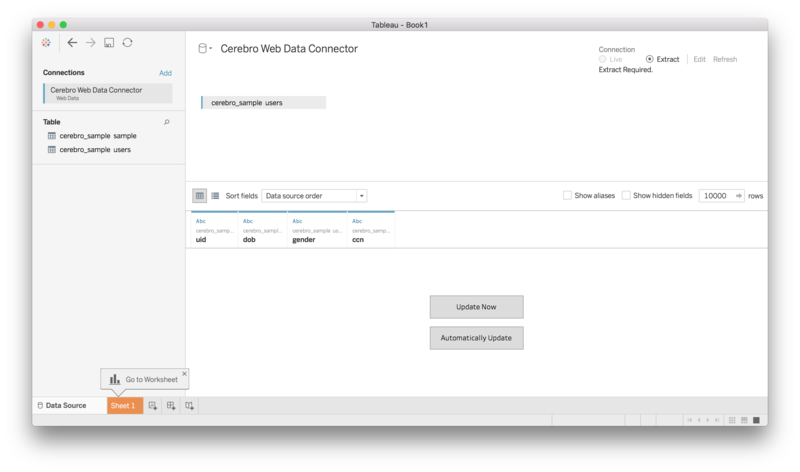 A Tableau license is required to use the Tableau Web Data Connector. 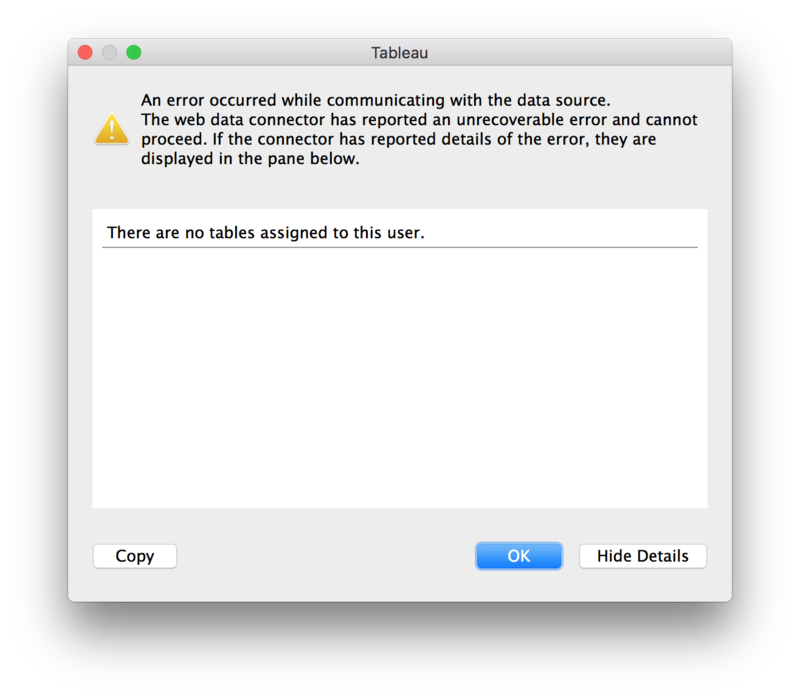 This document does not provide any instructions on how to use Tableau other than the steps required to start the Web Data Connector and select a representative data set. The Tableau Web Data Connector was written and tested using Tableau Desktop (tm) Professional Edition version 10.1.4, 64-bit an Apple Inc. Computer (tm) running macOS Sierra Version 10.12.3. 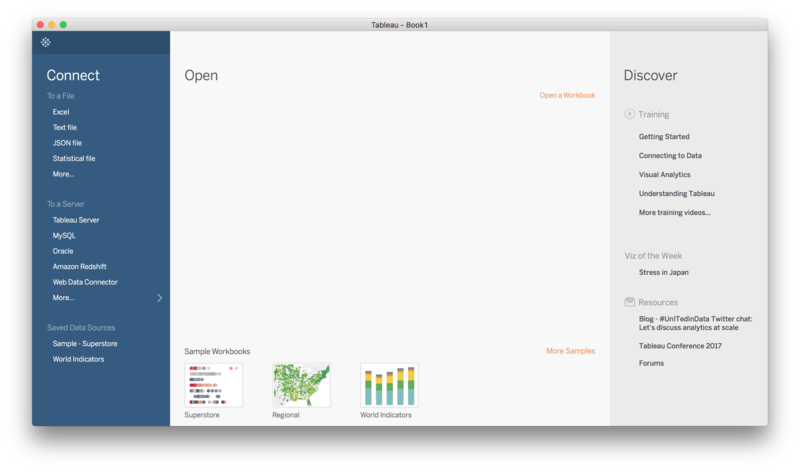 These instructions assume that you have access to the Tableau Desktop (tm) Professional Edition product. NOTE: the list of ‘Recent Connectors’ is illustrative and may not match your list. Enter a valid authentication token in the text box above the ‘Accept Auth Token’ button and press the ‘Accept Auth Token’ button. A valid authentication token can be acquired by referring to the ‘Getting a token’ section of authentication document. (Optional) Modify the “Max records” field. This field will dictate how many records per dataset will be fetched at most. Lower numbers can significantly improve performance. Click the ‘Get Data!’ link when it becomes highlighted. A page similar to the following page should appear. Please note that the data sets in this list are illustrative only. Click the ‘Update Now’ link to load the data. A page similar to the following should appear. The length of time for this step to complete will vary depending on the amount of data in your selected data set. Consult the ODAS REST server log for details. Corrupt metadata such as an invalid view definition. Intermittent network or system outage. The contents of these pages are illustrative only. The actual contents may vary, depending on the reason for the error or exception. User does not have access to any tables. The catalog returned an empty list of table names. 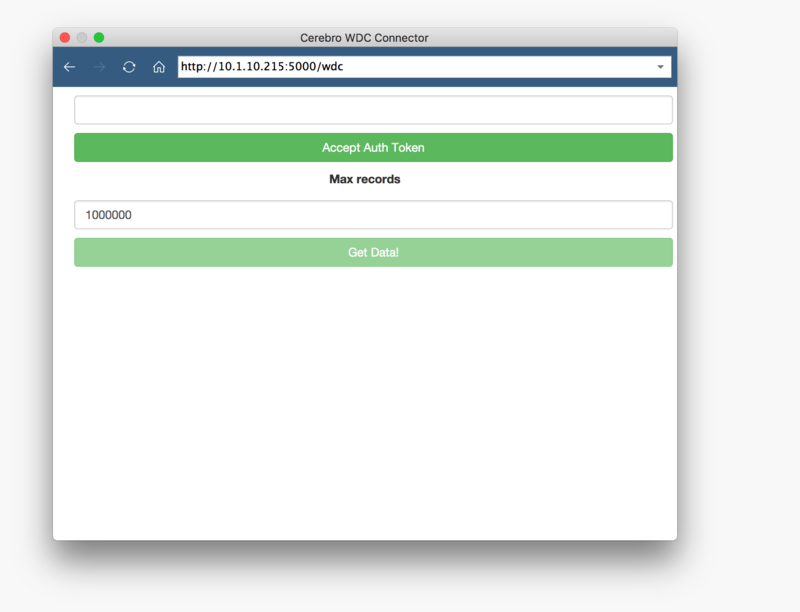 Verify that the token you entered is valid and that if it is valid, that there are tables assigned in the catalog for the user. Error reading data for table: table name. An internal error or communications error occurred while retrieving data for the table table name. If it is a communication error, retry the request. If it is an internal error, report the problem along with the scenario you attempted. Error loading tables in database. An internal error or communications error occurred while loading catalog.